The Development Neurobiology Lab, managed jointly by Kazan University and INSERM, has found that spontaneous limb and body movements of newborn rats serve to synchronize spinal neurons. A newborn rat’s brain development stage is close to that of a human embryo in the second half of pregnancy, so this discovery allows to hypothesize that the same movement patterns can help neuron development in humans. The research was published in Nature Communications on October 7th. This work has been going on for four years under the helm of Rustem Khazipov and his overseas colleagues, including Ana Rita Lourenco Inacio (Mediterranean Institute of Neurobiology). The KFU Neurobiology Lab was established to study developing brain thanks to a megagrant from the Russian government. Physiological movement has been studied by observing both the brain and the spinal cord. Thus new information has been obtained about the spinal cord activation in rats. 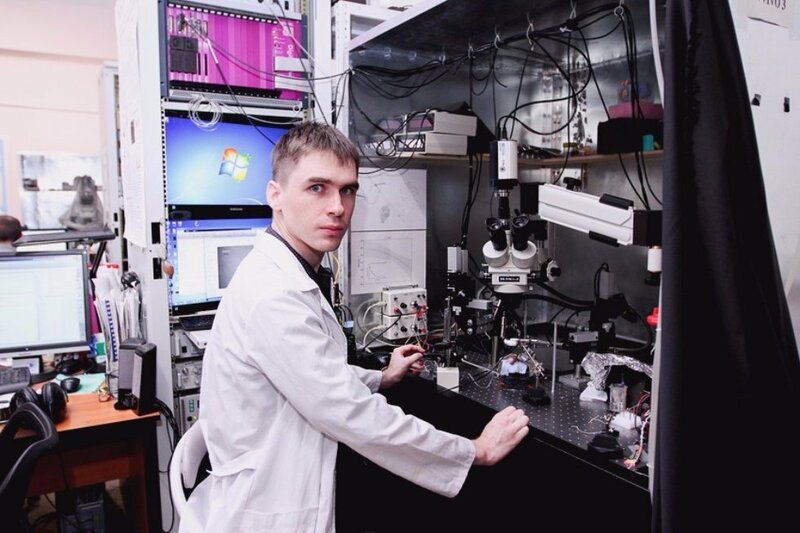 Azat Nasretdinov, Junior Research Associate at the Neurobiology Lab and a co-author of the latest paper, explains, “We had to find out how spinal neurons communicate during spontaneous limb movements. We simultaneously registered hind limb movements and electric activity in the spinal cord. Our main takeaway is that the activation of motor and sensor zones of the spinal cord resulting from short twitches and long complex movements is carried out through sensory feedback (activities of the movement zones of the spinal cord lead to limb movements and thus to sensor zone activation), so we think these spontaneous movements are the main instrument of sensorimotor synchronization. One of the proofs is that spinal cord activity diminished when sensory signals from the limbs were disconnected. The final confirmation came during in vitro experiments on spinal cords – sensory and motor zones both demonstrated bursts of activity, but with little correlation because isolated spinal cord preparations had no anatomical feedback”.